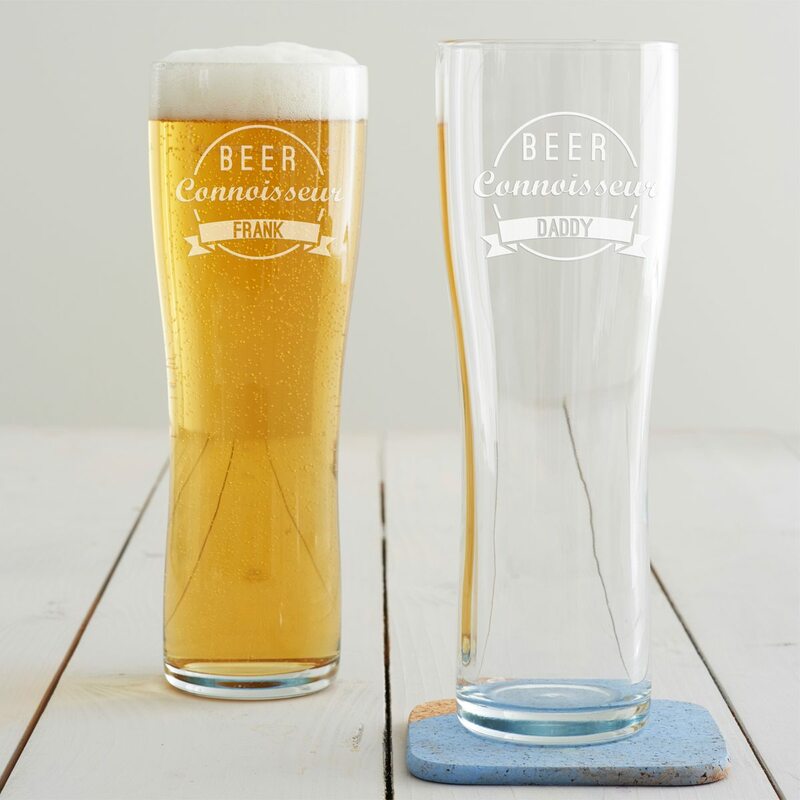 Make your friends laugh with this witty beer tankard. 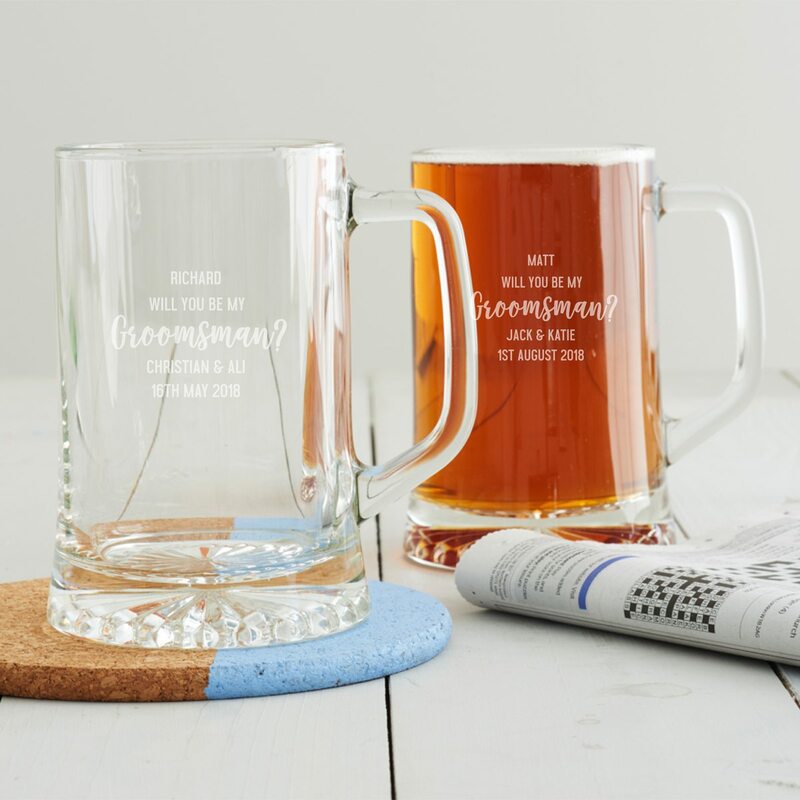 This personalised tankard would make the perfect gift for beer drinkers. 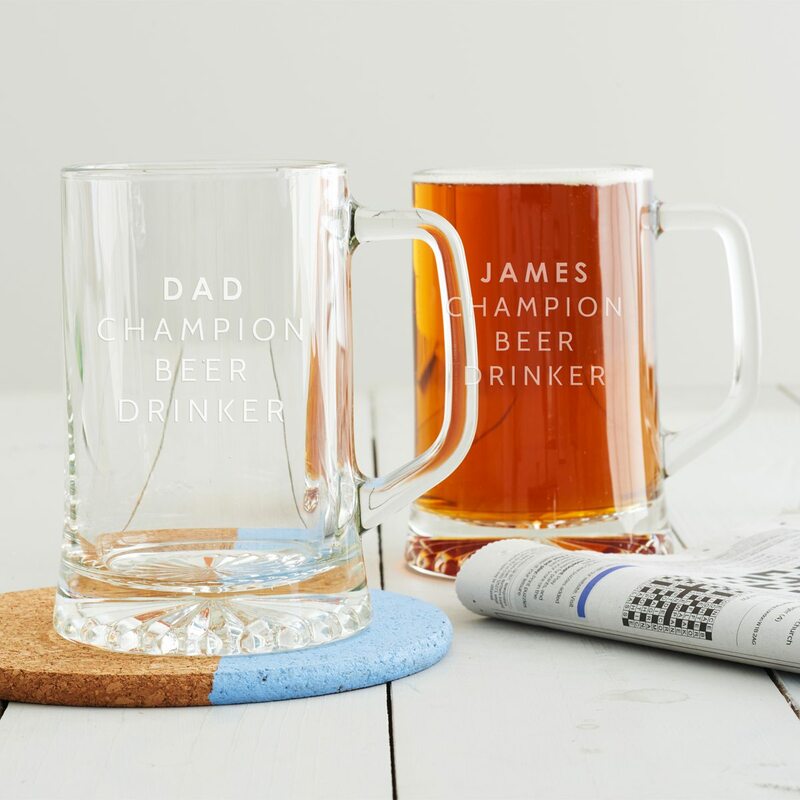 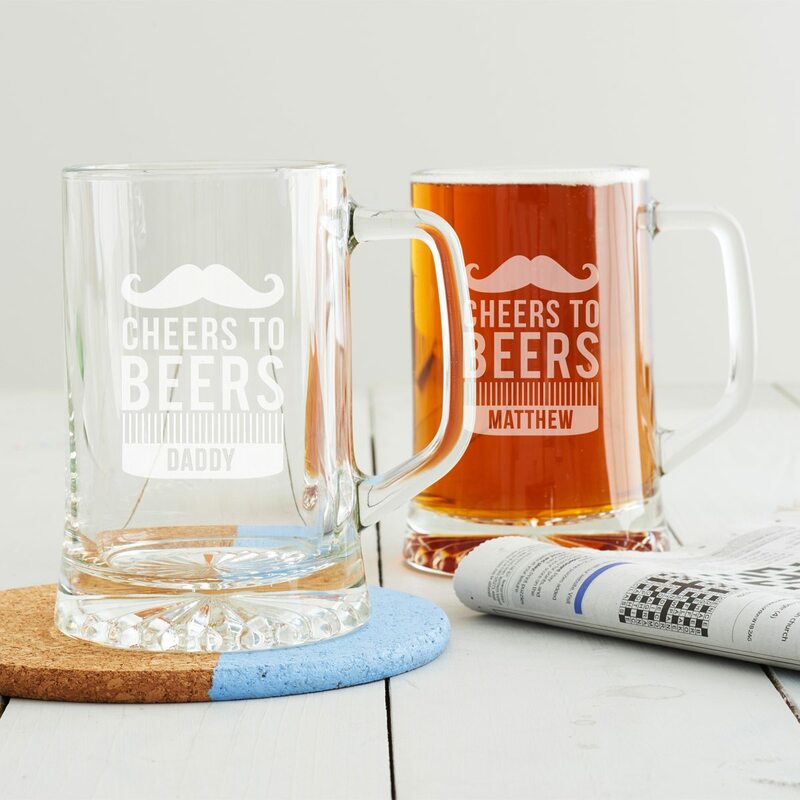 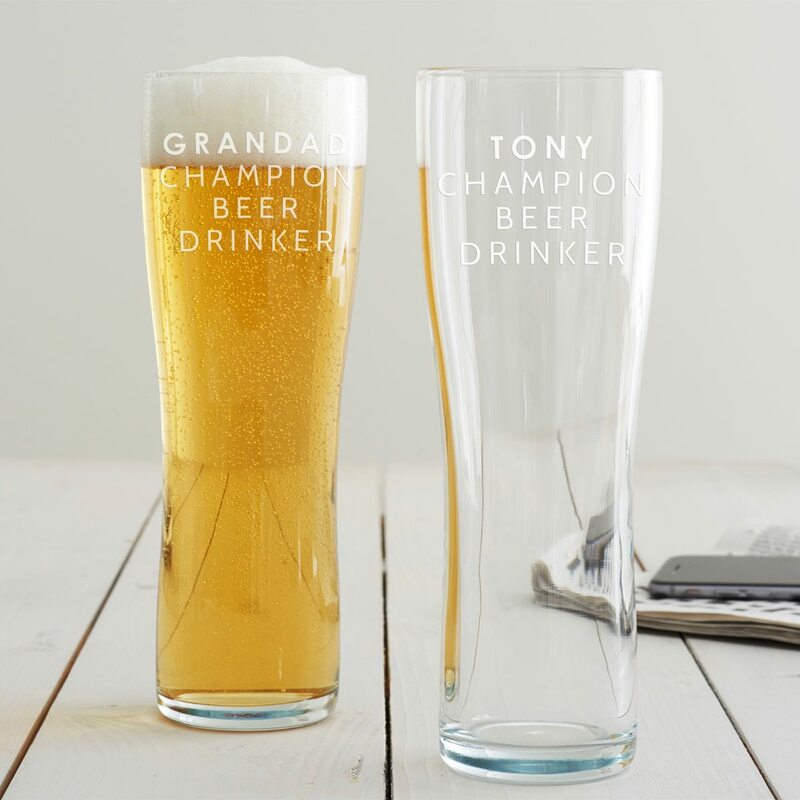 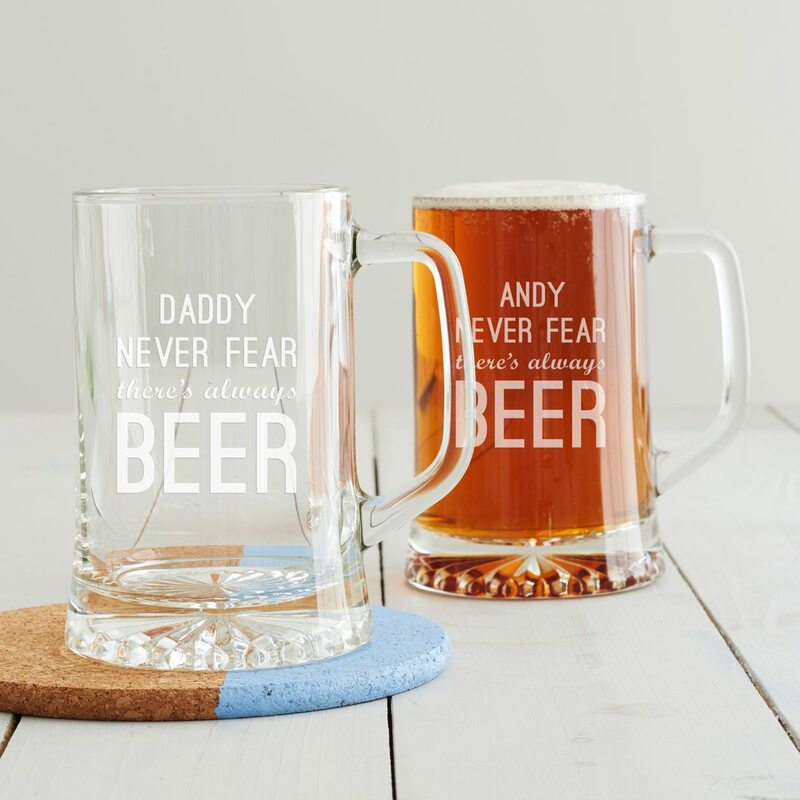 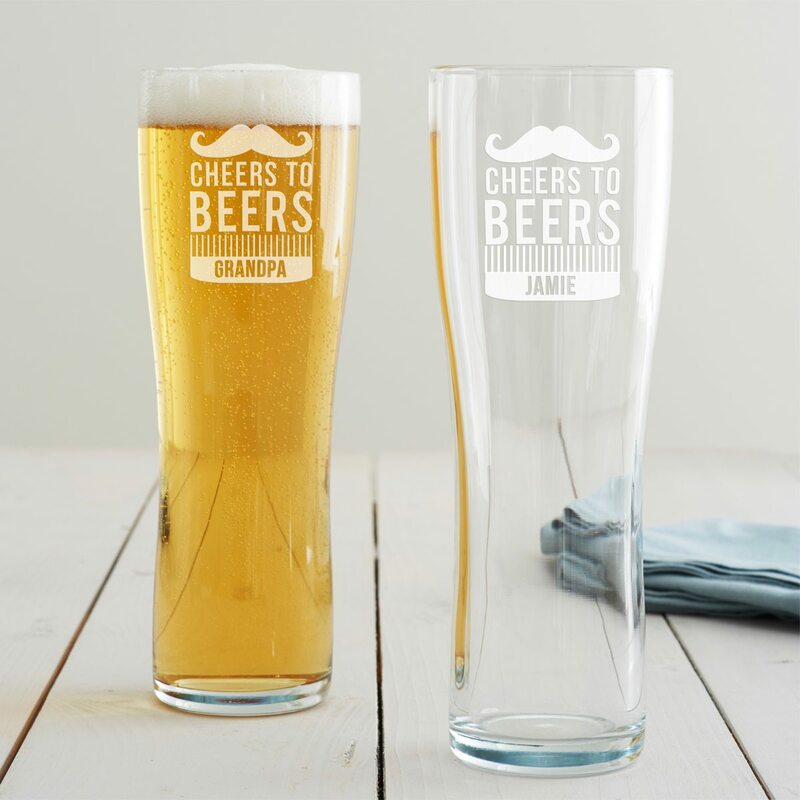 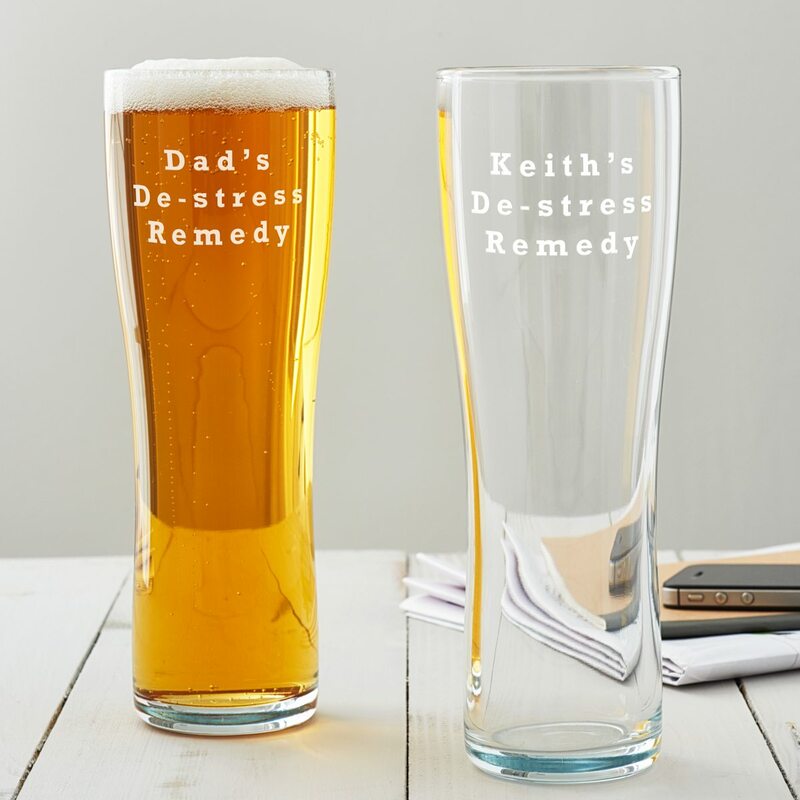 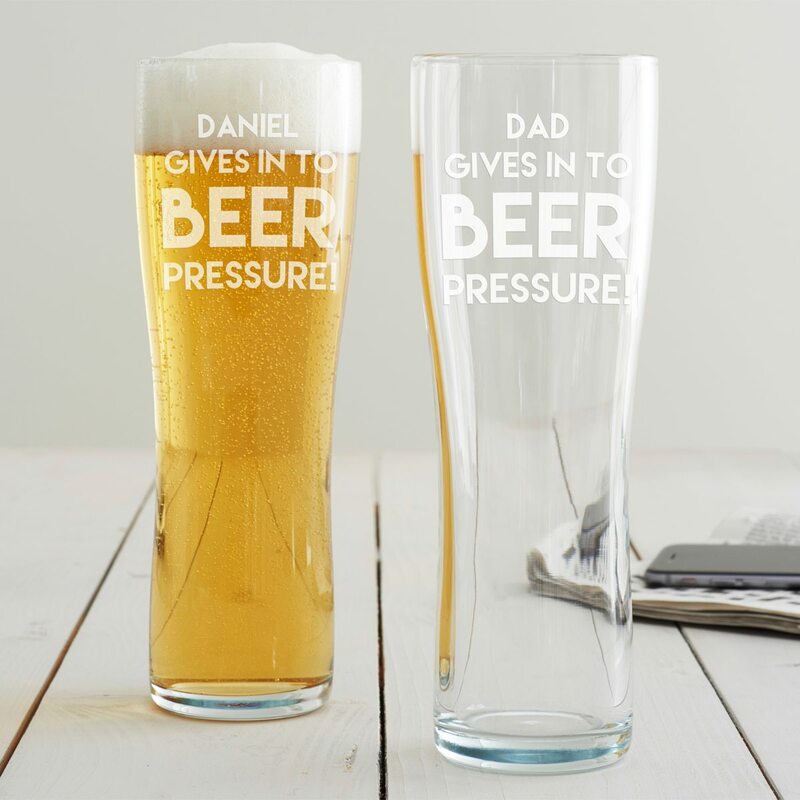 Raise a glass with our Personalised ‘Cheers To Beers’ Pint Glass this Father’s Day. 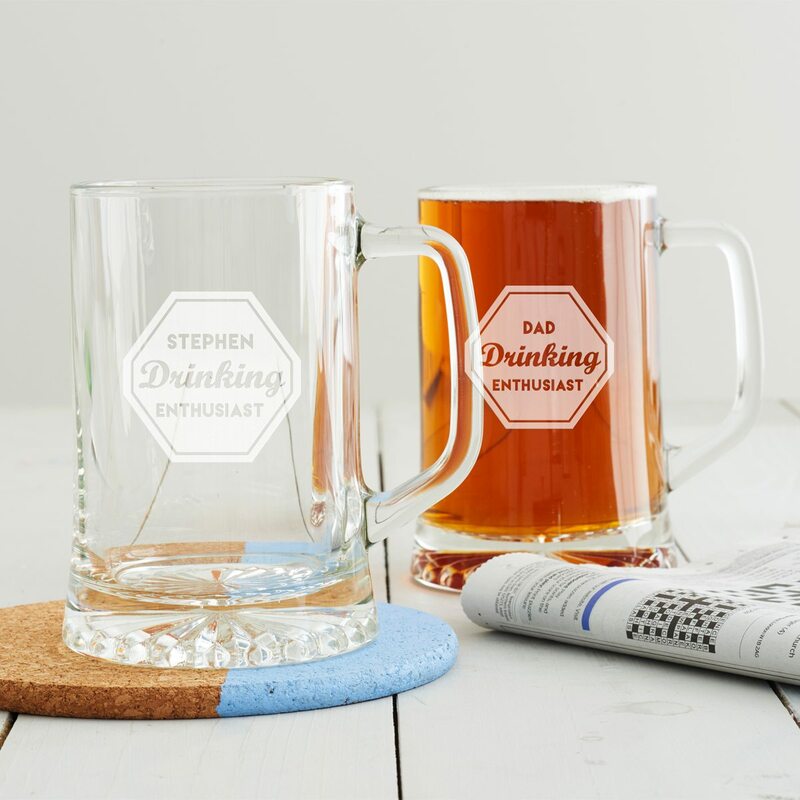 This personalised tankard is etched with a ‘Drinking Enthusiast’ badge design, making it the perfect beer tankard for friends. 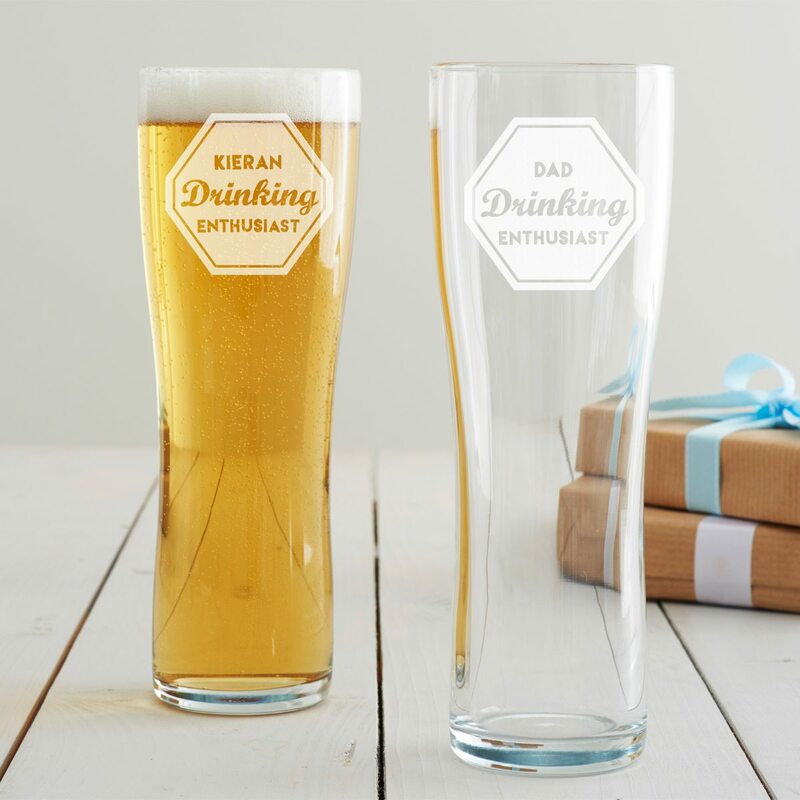 This personalised pint glass is etched with a ‘Drinking Enthusiast’ badge design, making it the perfect pint glass for friends. 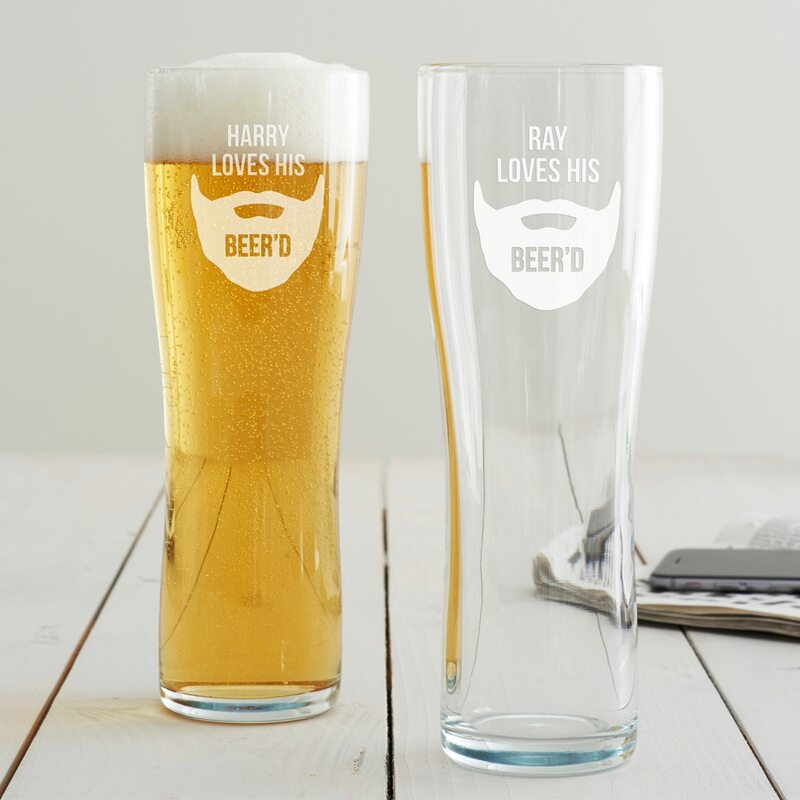 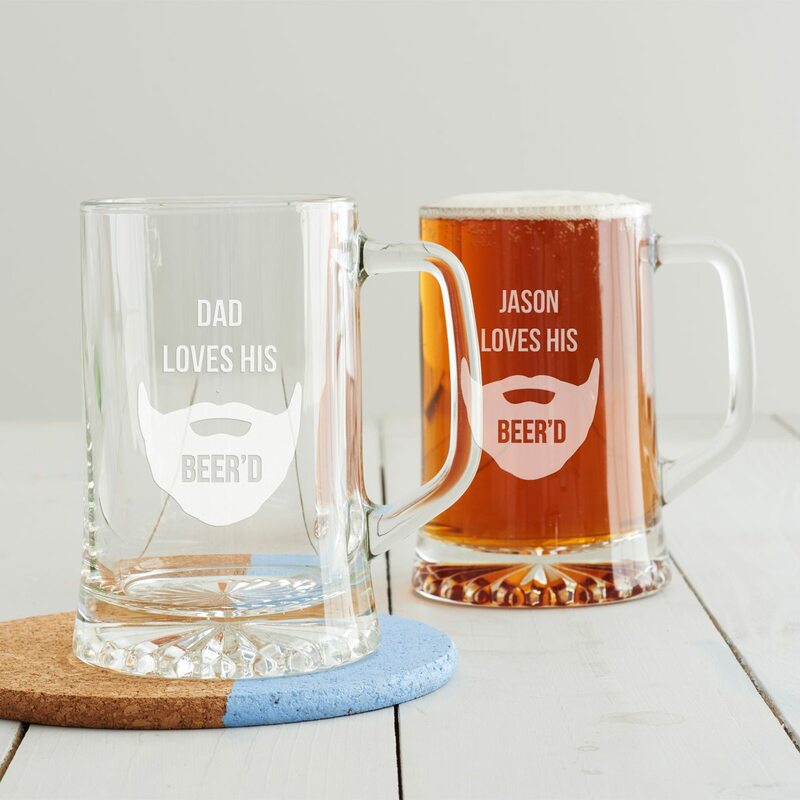 This playful etched pint glass is perfect for the man who loves his beer and his beard! 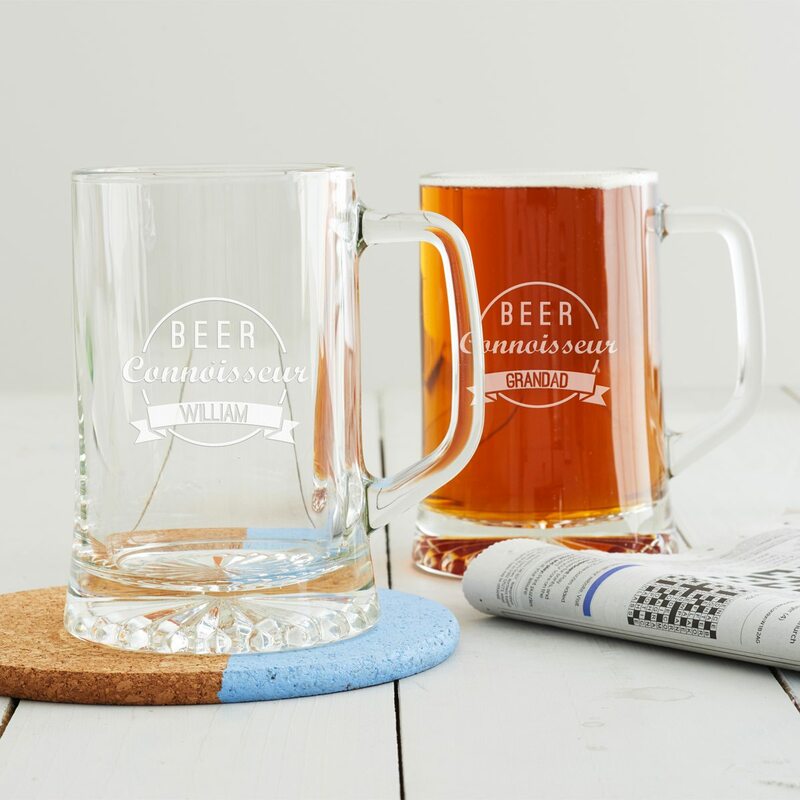 This etched beer tankard would make the perfect gift for beer drinkers. 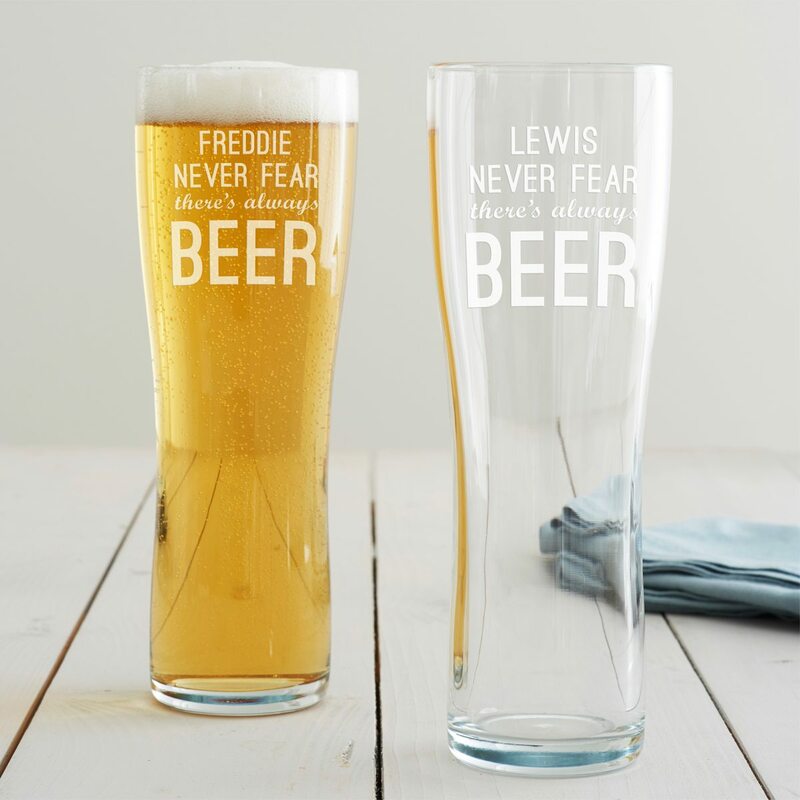 There will be no beer shortages with our Personalised ‘Never Fear’ Pint Glass. 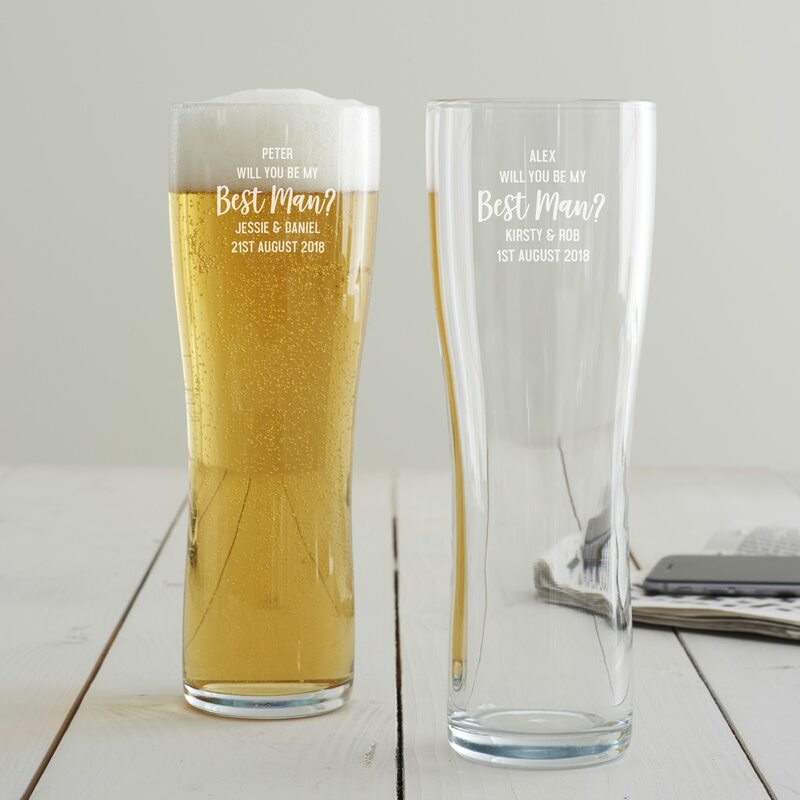 A personalised pint glass designed to help you ask your best pal a very key question! 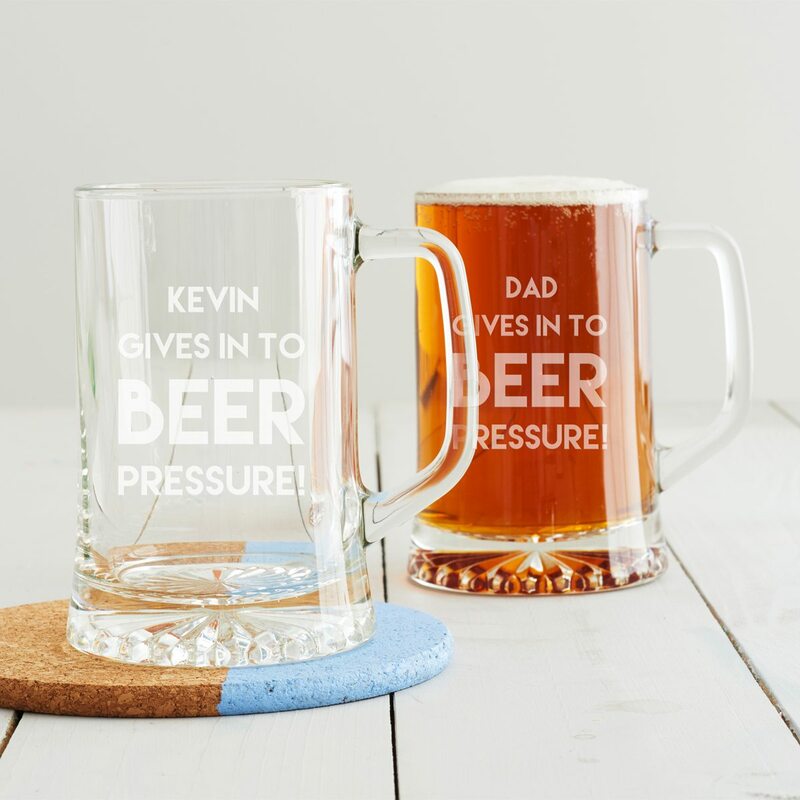 A personalised beer tankard designed to help you ask your best pal a very key question! 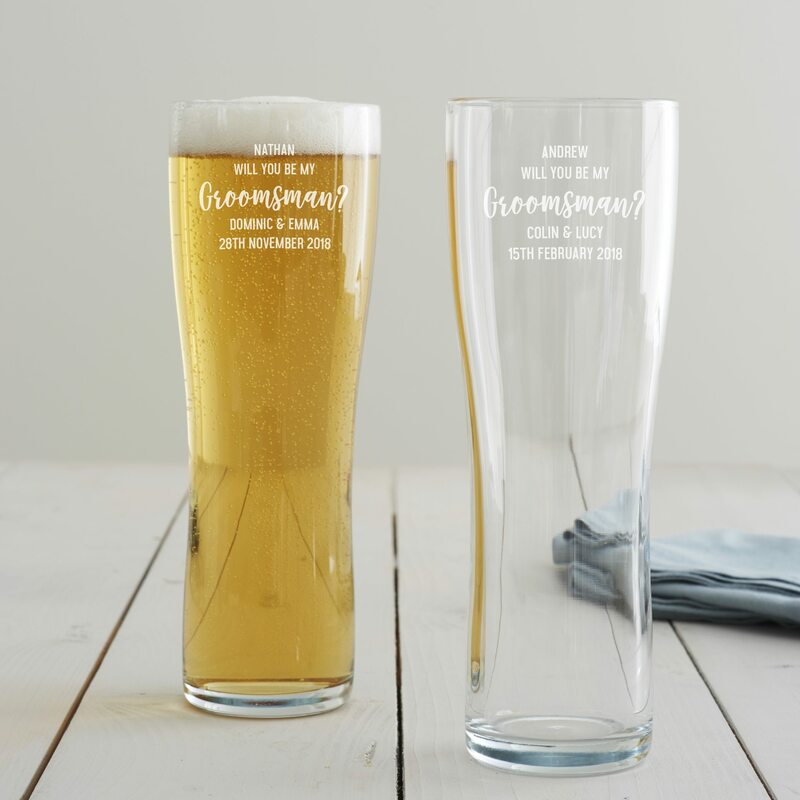 What better way to ask your friends or family members to be your groomsman than with a personalised pint glass? 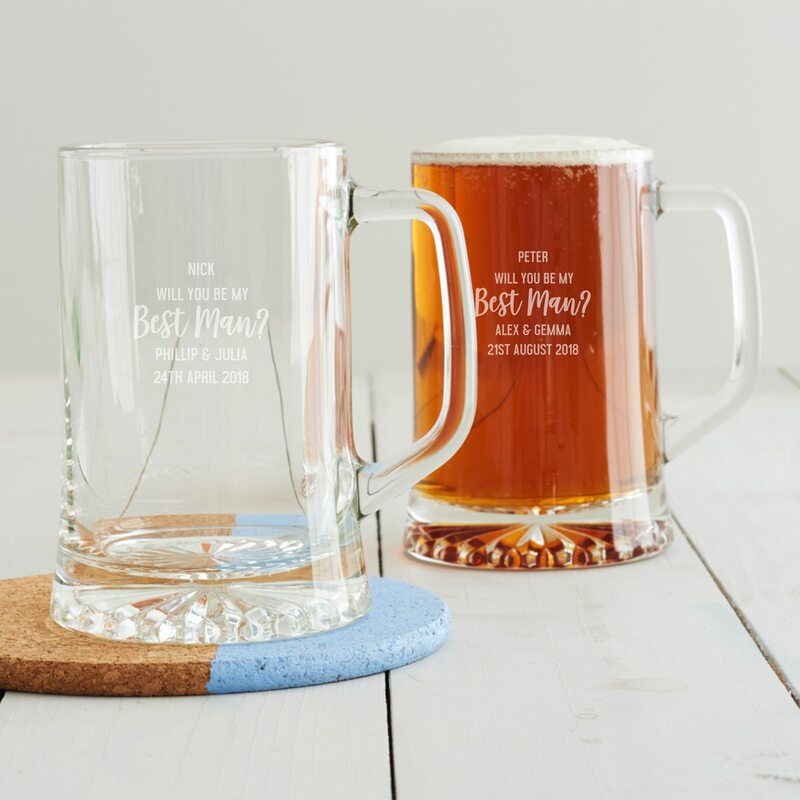 What better way to ask your friends or family members to be your groomsman than with a personalised beer tankard? 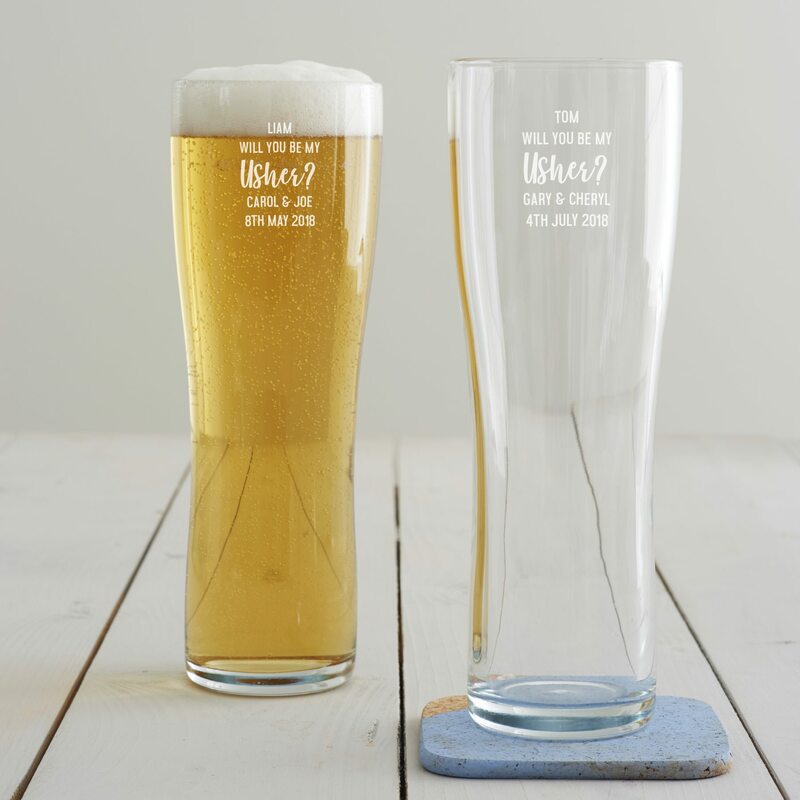 Ask your mates to be a part of your big day using our personalised pint glass.